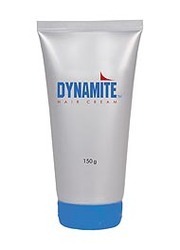 Dynamite Hair Cream for Men fulfills hair conditioning needs of men. This hair cream provides them the ease to naturally enliven their hair, all day long. Dynamite Dynamite's range of male grooming products, formulated internationally is designed to deliver the ultimate grooming experience. Great Value Products Great Value Product Range offers you Great Quality, Great Performance, Great Price and a Money Back Guarantee! 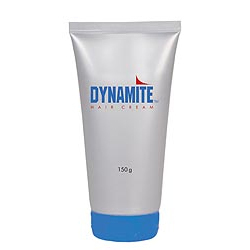 Dynamite Hair Cream for Men fulfills hair conditioning needs of men.This hair cream provides them the ease to naturally enliven their hair, all day long.